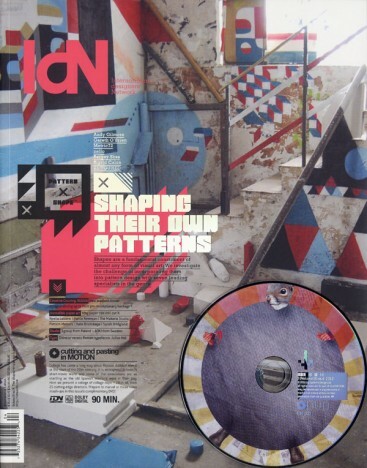 IdN magazine which has been leading the creative world in mainly Hong Kong, and Asia, released v19n4: Shapes-in-Pattern – Shaping Their Own Patterns. Just come up with a nice little design, then copy-and-paste it ad infinitum. Well, nothing could be further from the truth. They decided to reduce the parameters even further – and asked seven creatives who utilise mainly shapes to achieve their desired effect, how the tight discipline involved both constrains and liberates them. It is a lot more complicated than you might think – but the results can be deeply satisfying.